My homage to Easter (not intentional, that’s just how it worked out). 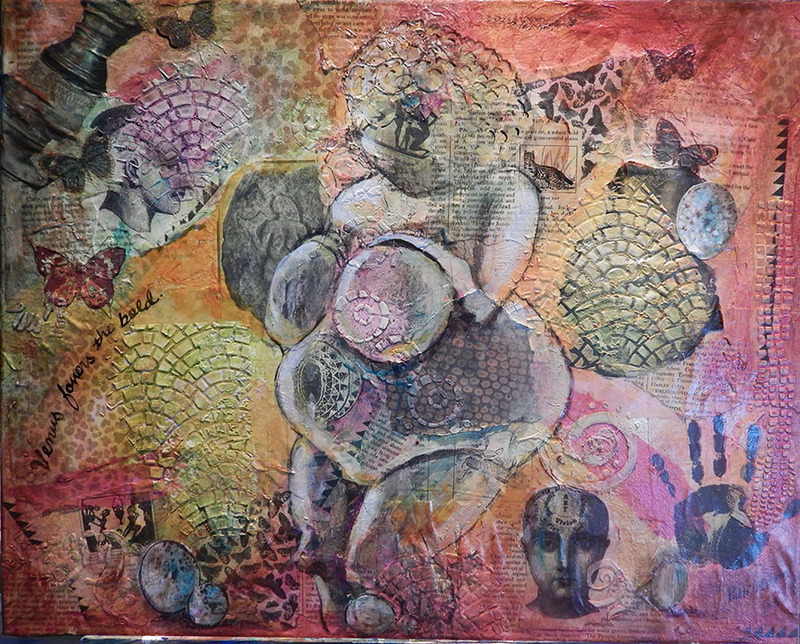 A textural mixed media on 16×20″ canvas created during a texture workshop at The Art Barn. I threw everything but the kitchen sink at this zaftig beauty – collage elements, stencils, molding paste and acrylic paint. Ladies and Gentlemen, may I present the Venus of Willendorf, “Venus Favors the Bold”.